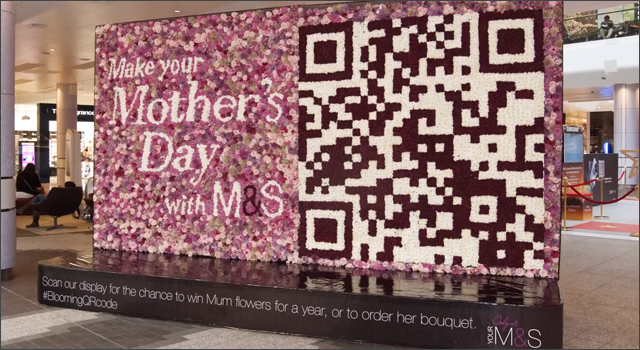 Shoppers at Westfield White City shopping centre were given the opportunity to win flowers for a year from Marks and Spencer by scanning a QR code on a billboard made up of 9,457 flowers. The 5×3 metre billboard, which took 179 hours to complete, was designed by CURB media and developed by the creative team at Profero. Once the promotion is done and the billboard is taken the down, the flowers will be turned into compost.